With its unbeatable combination of style and function, perhaps it is simple to understand why the Sapiens Bookcase Tower is exceedingly popular in home and office settings. The bookcase tower consists of heavy-duty, powder-coated steel for long-lasting quality. In addition, the bookcase tower features 10 spacious shelves and adjustable feet for exceptional versatility. Select a bookcase tower that will serve you well both now and in the future � the Sapiens Bookcase Tower. 10 shelves ensure you'll have plenty of space to display books, photographs and much more. Powder-coated steel tower, shelves and base will maintain their appearance for years to come. Adjustable feet provide unparalleled flexibility. 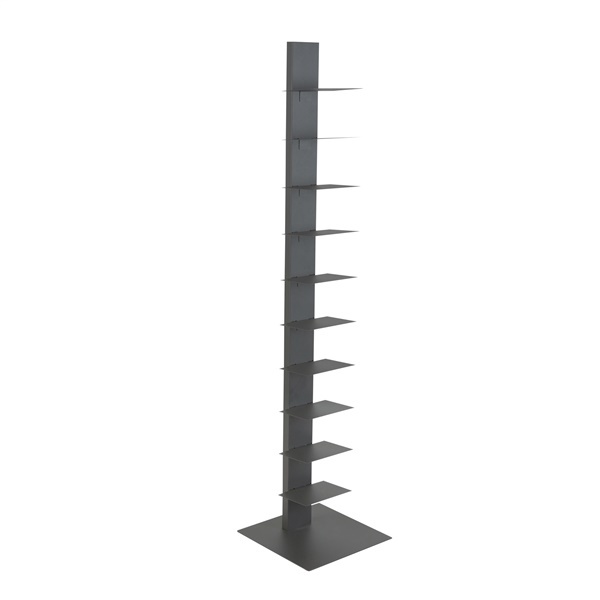 Sleek, elegant design helps the bookcase tower complement the d�cor in any home or office.